With its long history of providing industry-leading container and cargo technology, Naumann/Hobbs trusts Kalmar to provide selection, and expertise, every time. Each Kalmar forklift truck is built to keep truck uptime, increase productivity, and keep running, maintenance, and lifetime costs low. Kalmar takes pride in making their products efficient and reliable. With the DCG50-90, you have the option to use the forklift in 3 variable power modes, and the best part is that the ECO model cuts 15% off your fuel consumption, saving you even more over the life of the lift. The ECG50-90 is the latest generation of electric forklifts. Kalmar offers this total solution to lower operating costs, increase safety, reduce maintenance—and it’s better for the environment. This new generation of forklifts provides optimal battery use to increase operating cycles up to 15%. The diagnostic system is industry-leading technology to improve uptime and maintenance service. Since these forklifts can be equipped with a variety of attachments, it makes them perfect for any business application. Looking for the best option for a combination of price and quality? The Kalmar DCG90-180 forklift truck is designed to go the distance, economically. Over its lifetime, you’ll find that it pays off in more ways than one, like its ultra-reliability and unrelenting performance. It comes with minimal maintenance needs, superior low-fuel consumption, and a new variable hydraulic pump that keeps the forklift at top performance every time by lowering the strain on the hydraulic system and lifting equipment which can help reduce fuel consumption by up to 18%. The DCG90-180 series features stable, fast, and intelligent electronics systems that are easy to maintain and are easy to access for maintenance service. Heavy weight and high workloads have a tendency to wear things down, and forklifts are no exception. While some things are unavoidable, Kalmar offers a machine that is built to outlast the competition. The Kalmar DCG180-330 heavy forklift is created with your productivity in mind. WIth a Performance Mode that enables it to work with maximum productivity the entire time you are working with it, this forklift can keep up with even the most demanding of jobs. The Cummins engines—while powerful—are economical and have great fuel efficiency. Onboard, industry-leading technology recognizes the size of the load for every job and adjusts the oil flow according to what is needed. Available ECO mode lets you lower costs by saving more on fuel costs while reducing repairs and downtime. Kalmar also makes your safety their priority with cabins that eliminate blind spots using curved front and rear windows to give the driver nearly 360° visibility. It also allows for the steering wheel to be adjusted and the Over Head Guard to be removed. On top of its reliability and cost-savings, this forklift goes the extra mile by keeping the comfort and safety of the driver in mind. Brand and products vary by location. 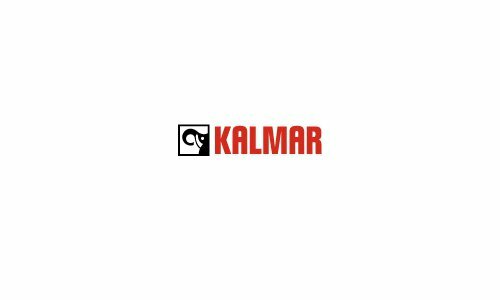 See us today at the location nearest you to find the right Kalmar Forklift Truck for all your material handling needs.